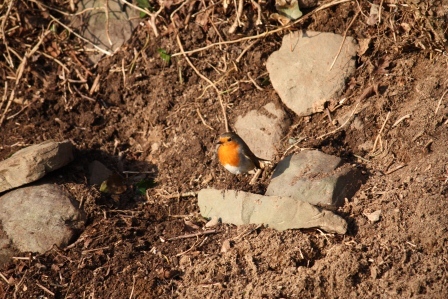 An Irish Robin, a Stone wall, and a February look at the garden! 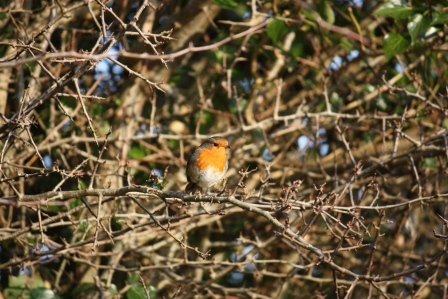 An Irish Robin in a Hawthorn tree. 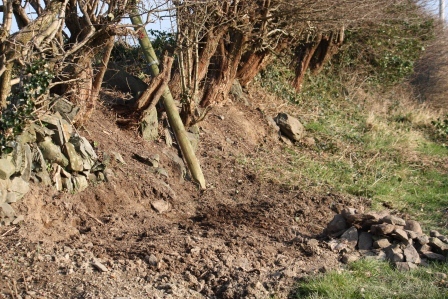 Clearing a new flower bed. It doesn’t look like much, does it? But that one section took ages to clear. Those ivy roots run deep! It certainly is a process. O.K., this ugly picture is just to get some sympathy! That is what it looked like beforehand, and what the rest of the row looks like! Yuck! 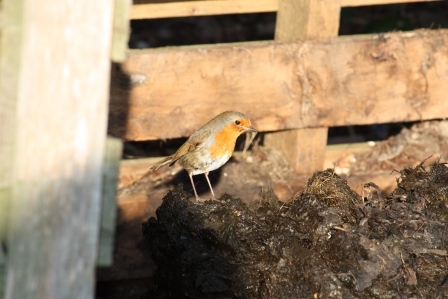 I was delighted to be joined in my work by a couple of very friendly robins. I was surprised by how close they came to me, and that they stayed with me while I pulled out ivy. They weren’t bothered by our cat Lucy, either, who was sitting nearby. Thankfully, she is a better mouser than bird catcher. 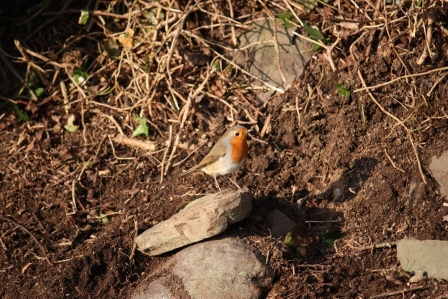 The Irish robin is much smaller than the American Robin. 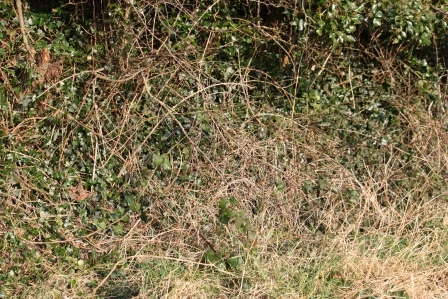 Tackling the ivy is something I can only do in small doses. 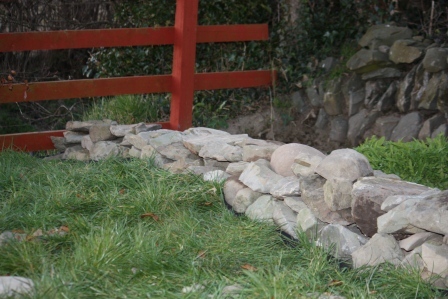 So to break things up, I took another look at the rock wall I was making as a border in front of the ditch wall. I really like the stones. My husband has honestly told me that he is not fond of the wall here. 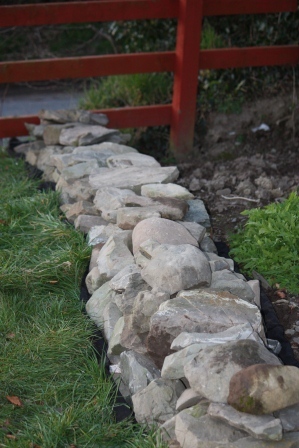 It’s possibly too much to have more stones in front of the ditch wall. I’m keeping an open mind while I put it together. I love the puzzle aspect of it; finding the perfect stone for each place. I’m making it sturdy enough to be walked on (because I know that little feet will invariably be walking on it!). 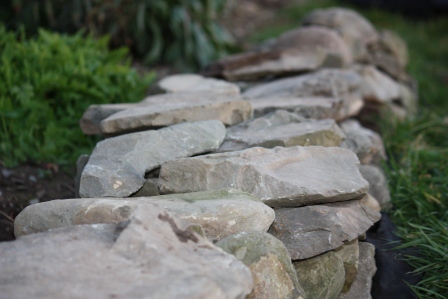 My problem is that I love stones with a rounded shape to them, and I find them harder to work into the wall. For the most part though, it is flat along the top, which I think works well. 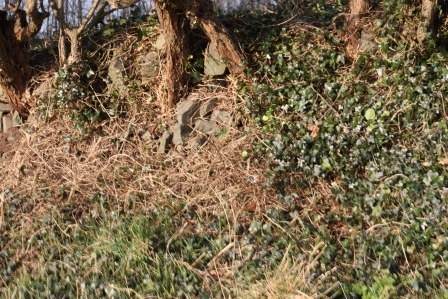 I’ve been visiting the fields around me to gather all sorts of stones (with permission from the farmers first, of course! They really do laugh at my requests at this stage!). The entire process of gathering, sorting, and building the wall is what I find rewarding. Who needs to go to the gym when you can haul rocks? A rock wall in the making. As for the rest of the garden, there isn’t too much going on. My husband planted some raspberry canes which our neighbor James kindly gave to us. 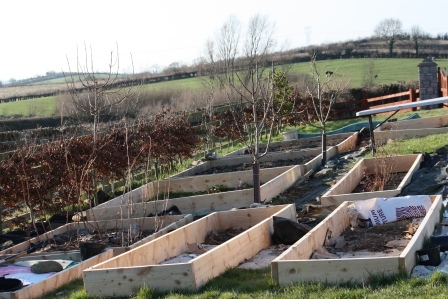 I am patiently waiting for my husband to finish tidying up the new raised beds. 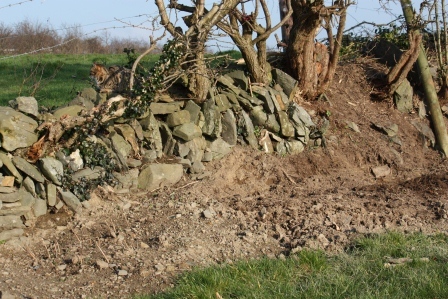 One of our apple trees is now too close to one of the beds, so that will have to be moved. I really appreciate my husbands help in the garden. It’s just a pity there weren’t more hours to our weekends! February View of the Garden. New raised beds (raspberry canes on the left). I had forgotten how wonderful the sun is! It was a long time since we’d seen it. 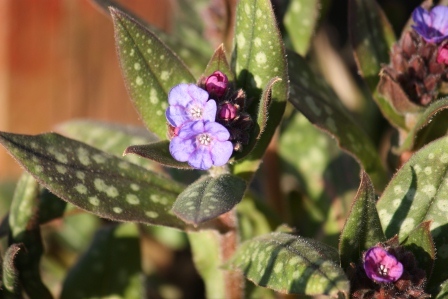 There are just a few flowers in the garden, and they were delighted with the change in weather! 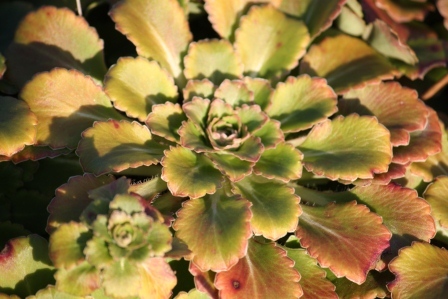 Sunny days, and brighter evenings – what more could I ask for?